During my junior year at Skyline Mrs. Joy Orton was my Type teacher. My mother encouraged me to take the class because it was a useful skill, even though I didn’t plan to be a secretary. The lively, frantic, off beat sound of all those old typewriters clicking away during class is unforgettable. I wasn’t the fastest typist, by any means, but enjoyed the challenge and appreciated the pleasant way Mrs. Orton encouraged us to do our best. How could I have known then that the typing skills she taught would be part of nearly every day during this part of my life? A little about Joy: Some years later, an opportunity came for me to see and visit with her. Naturally we conversed about her teaching Type at Skyline. I was surprised when she shared that she’d graduated in the field of commercial art planning to teach Art. 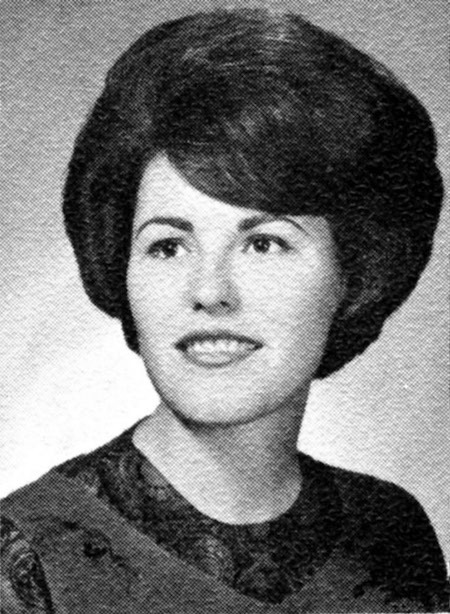 However, in 1964-1965 when she applied for a teaching position with Granite District all Art positions were filled. But there was an opening for a Type teacher at Skyline – needing a job she accepted. Because she did many others, besides myself, acquired a very valuable skill. Shirley Cutler was my history teacher in my junior year at Skyline. She was fresh from the university and only 5 or 6 years older than the kids in the class. She was excited about teaching and took a keen interest in all of us. Because she took and interest in me, I took an interest in her class. While it didn’t hurt that she was the most attractive female member of the Skyline faculty, it was ultimately her keen mind and willingness to befriend me that really won me over. Anyone who had the good fortune to be in classes taught by this fine teacher and accomplished musician knows the profound impact he had on his students. Though fifty years have passed, the experience lingers with meaningful memories. His understanding of how to bring out the best vocal sound in a choir linked with his knowledge and deep appreciation of many great master composers was transferred to us. At the age of twelve I began singing in choirs and have had numerous opportunities to sing under many very capable directors, but my year with Mr. Ripplinger still stands out as a benchmark. There will probably be a number of tributes to Mr. Riipplinger. 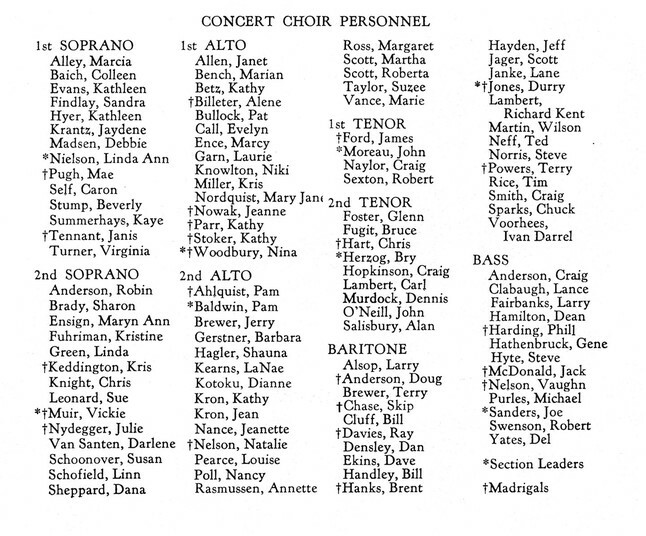 Donald Ripplinger, or "Rip" as we called him, taught me in Junior Choir, Concert Choir, and Madrigals. Jaydene Krantz Buhler has beautifully summarized the depth and breadth of that musical experience. I, also, remember the song, "Waters Ripple and Flow" with great feeling. 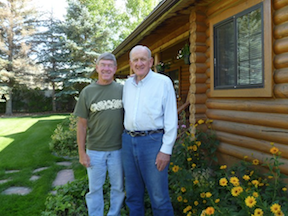 On a more personal level, Don Ripplinger filled a great need I felt for a male role model who exemplified integrity, discipline, kindness, honor and a host of other positive values. Since my father's death when I was eleven, there had been no one to fill that need. To say that I loved "Rip" would be a gross understatement. Fast forward through many years, viewing briefly attendance at Skyline Choral Concerts, participation in an alumni choir for two short years before the Tabernacle Choir snatched him away, and watching him direct and serve MoTab with consummate skill. In 2009 I underwent amputation of my hip and leg. The only distinct memory I have of the hospital stay was my husband saying I had a visitor, opening my eyes, and seeing Don Ripplinger standing beside me. His visit was brief, and I don't remember much of it, but what it did for my recovery was miraculous. Some 43 years after our graduation he was still caring for his students. I have such fond memories of Miss Kathleen (Kay) Nielson, my sophomore Honors English teacher. Her class was stimulating, interesting, and meaningful. From her I learned about mythology and its effect on our culture and literature. She challenged our reading background by asking us to read more difficult works of literature, and the n she taught us how to analyze and write about what we had read. Her academic influence on me cannot be overestimated. 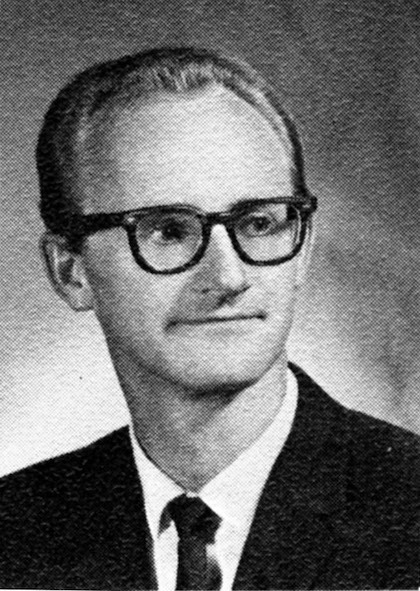 On November 22, 1963, I was in Miss Nielson's class when a voice blared out of the Public Address system (minus the doorbell that usually preceded announcements) saying, "The President has been shot. We are turning on the radio." I was glad she was the teacher there to give us reassurance as we together experienced one of the most collectively traumatic events of our lives, the assassination of John F. Kennedy. I still remember exactly what the classroom looked like at that moment. 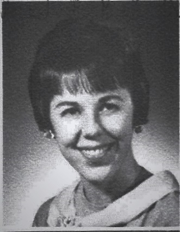 Pat Fernandez was one of my math teachers at Skyline, along with Mr. Gilbert. 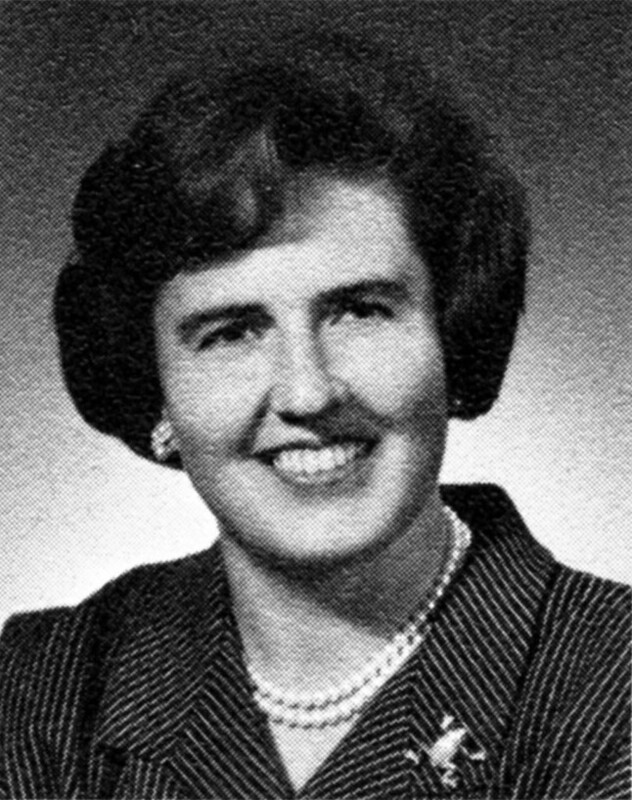 Mrs. Fernandez was remarkable for her way-ahead-of-her-time vision for girls in mathematics. 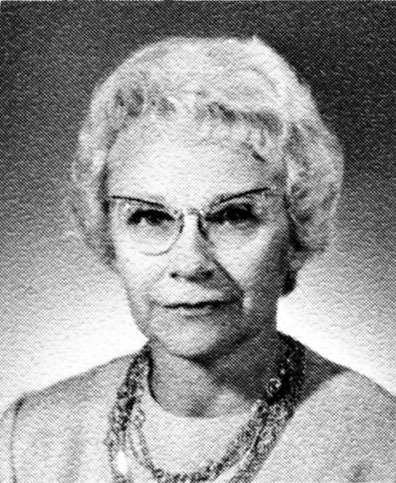 She labored mightily to give us girls the idea that we belonged in the world of math and that we could succeed in it. I, sadly, was like most of the others – deaf to this new idea. Didn’t she realize that math was for boys and that the girls were to aspire to marriage? It was fine to be smart, but our destiny was not in math. My sister told me of a Mrs. Fernandez story from a couple of years after we graduated. It seems that the top student in one of Mrs. Fernandez’ math classes that year was a girl. When Mrs. Fernandez asked what each class member wanted to be when they grew up, this girl said she wanted to be the secretary to a mathematician. Mrs. Fernandez left the room in tears. A dazzling smile, infectious laughter, and non-stop enthusiasm marked Mrs. Lochhead as a stand-out teacher at Skyline. She taught in the business department and was a fantastic teacher, although I did not know her in that capacity. 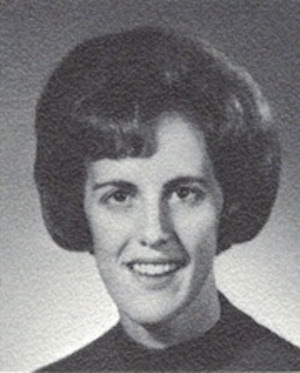 She was one of the faculty sponsors for the Wings girls service club. She genuinely cared about each student and encouraged us to be the best we could be, in all areas of our lives. Some of the other girls from Wings and I maintained a long-lasting relationship with Louise, attending her children's weddings and inviting her to family events of our own. 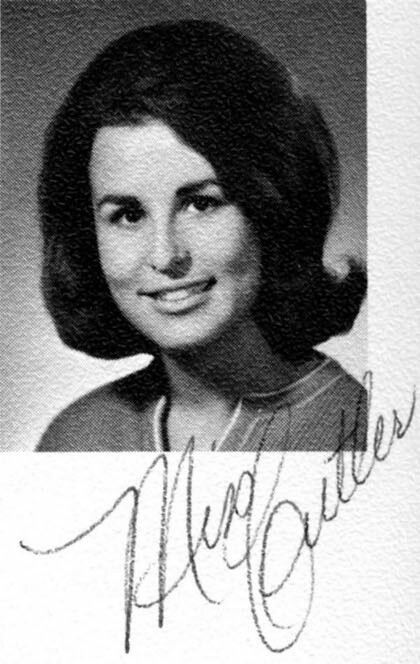 She taught business at Davis High School for many years, coaching school teams that won high honors in business competitions. 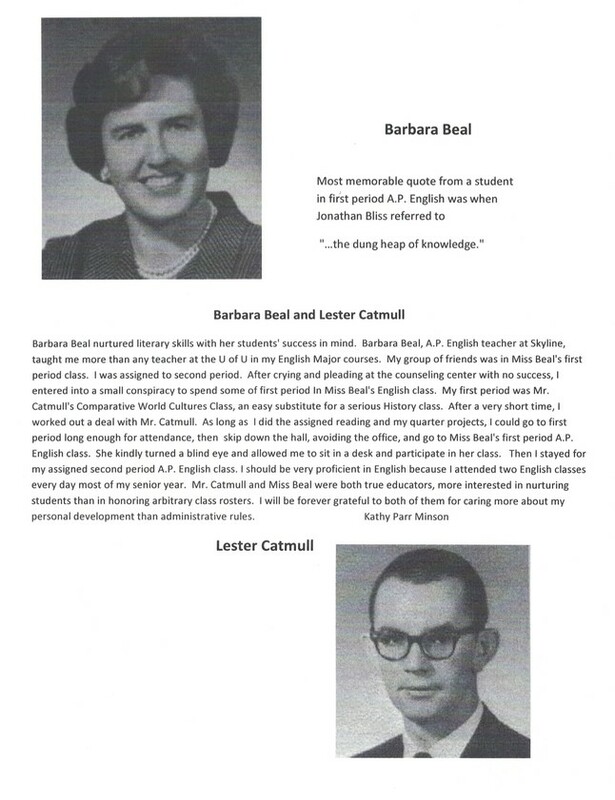 Mrs. Lochhead was a wonderful example of a caring, nurturing, and encouraging mentor. 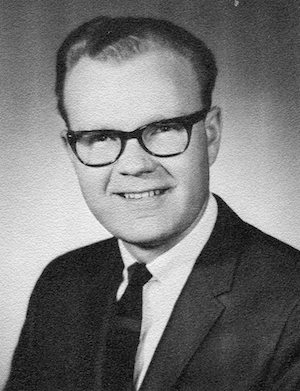 I was a vice-principal at SHS from 1963-1966. Skyline was my first assignment after working on my doctorate at Harvard. From Skyline I went on to open both Kearns High School and Cottonwood High School. Those were wonderful years, and bring back amazing memories. I'm now 83, in surprisingly good health, and enjoying life. I volunteer at the juvenile detention center four times a week or more, honing the skills I first picked up while herding juvenile offenders at Skyline (just kidding). Two weeks ago I attended the 65th reunion of my own Ogden High School Class of 1951 get-together. From a class of 620, we are now down to less than 300. Best wishes to all of you! Some of you might remember one of the first "incidents" I dealt with at Skyline. Members of the Skyline Republicans Club showed up one day handing out flyers in support of the war in Vietnam. They said: "Bomb Haiphong! Destroy Hanoi!" I also recall when just before a football game, a large Block S showed up on the foothills above campus. (In the interest of ecology, we had refused permission for another cement school letter to be added to the Valley's skyline.) But this was different---it was formed from many,many sheets, which, oddly enough, had disappeared earlier from a motel in town. I won't mention the culprits, but you know who you are! I also recall sitting at my desk in the small office immediately opposite Mr. Pizza's office, when the entire plastic light cover, completely filled with rain water, came crashing down on my desk. And I remember Mr. Pizza saying HE DID NOT WANT TO HEAR ONE MORE WORD ABOUT ALL THE LEAKING CEILINGS AT SKYLINE! I remember making a deal with all the smokers during our accreditation inspection by outside evaluators, that if they would just step out to the bushes behind the school (just past the bleachers) I wouldn't "see" any of them. Virtually to a person, they agreed, and the evaluators were amazed that such a huge high school didn't have any students breaking the law by smoking! I recall the student with the police siren who was pulling over cars driven by elderly drivers and fining them $25 for "speeding." Or our attempts to get everyone to pick up their trays and garbage in the cafeteria. I remember the early beginnings of pot smoking by a few students at our dances---before drug use became so pervasive a few years later. Or the boy who came to the junior prom with too much to drink, and managed to urinate on the floor in front of many students, including his date. I also recall Mrs. Harrington (Bob's mom), our homemaking instructor, inviting me down for a "tea" the girls in her class had put together. The food was terrific, and I was soon back at the table getting some nice seconds. Just then, Mrs. Harrington announced importantly that of course at teas, one would never ever go back for seconds, but that since this was last period, rather than throw the food away, they could go get more. Some of the girls tried signaling Mrs. H. that I was grossly breaking all rules of etiquette, but it was too late. The class got a great laugh at my expense; but poor Mrs. Harrington looked totally stricken. I could go on and on with SHS memories, but I'll end with this one. Near the end of school, senior year, one of the boys came in and said he wanted to surrender the master key to all the hall lockers. He wouldn't admit how he got it, but I had lost it earlier. In passing he said, By the way, Mr. Wahlquist, did you know that the master key fits many of the Coke machines around town? I did not know that! Again, best wishes for a wonderful retirement (for most of you) and a happy and healthy future! I never worked on the student newspaper at Skyline High when I attended the school some 50 years ago. For starters, I didn't have the grades to be accepted on the Skyline Horizon staff. I also didn't have the interest. I was just limping toward graduation, daydreaming through lessons or skipping classes altogether. But I did take an introductory journalism class my senior year. It was a one-semester course that looked like an easy credit. As I was vegetating at my desk one day, the journalism teacher, Clarann Jacobs, asked me to stay after class for a few minutes. I thought I must be in some sort of trouble, which was usually the case. But she surprised me. "You have a gift," she told me. "You have a natural talent for writing. You should think about pursuing that further." It may have been the first time a teacher told me I was good at something. I took it to heart and began churning out writing assignments for Mrs. Jacobs. In hindsight, I'm not sure she really believed I had a gift for writing. I suspect she told me that to make me believe it. That encounter — and her class — inspired me to go into journalism when I was in college and finally get serious about school. That led to a 40-plus-year career at The Salt Lake Tribune. Mrs. Jacobs, who later became Clarann Larsen through a second marriage, died Monday. The news created an outpouring on social media, with former students gushing about the impact she had on them. 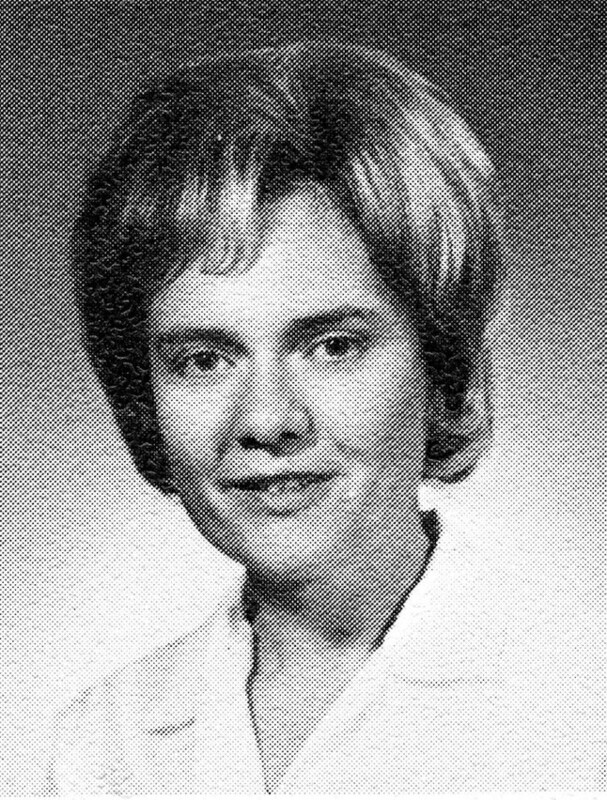 She started her career at Skyline in 1964, two years after the school opened. She retired from there 43 years later, after teaching and guiding thousands of students. A plaque in the school's main hallway celebrates her as a member of the Skyline Hall of Fame. In the 1980s, the Utah Headliners Chapter of the Society of Professional Journalists honored her service. At the time, we counted more than 70 former Skyline students who had become professional journalists, and she went on to teach and inspire students for 20 more years after that. "Horizon class was always seventh period, and was a very free-form class because Mrs. Jacobs trusted and respected the students selected for the staff, and they likewise respected and honored her," said Nancy Hobbs, a former Tribune reporter. "She definitely was a big reason I became a journalist," said Rex Nutting, a writer for the national business publication MarketWatch. "I had to beg her for a spot on the newspaper, because my first efforts at journalism were so sad. But she believed in me and many others." That theme — paying attention to the one while touching the lives of the many — comes up over and over in Mrs. Jacobs' former students. Said Mary Dickson, creative director at KUED-Channel 7: "She was a major influence in the lives of so many of us, as a teacher and a loving mentor. It didn't end after you left her classroom. She remained a good friend to many of us long after graduation,"
And this from Fred Kempe, former foreign correspondent and bureau chief for The Wall Street Journal and current president and CEO of the Atlantic Council, an international-affairs think tank: "Clarann Jacobs changed my life ­— and that of thousands of others — for the better. She mentored and inspired countless students with her kind soul, her demanding standards and her deep belief that great journalism lay at the heart of a free America." I imagine many people have at least one teacher in their past who inspired them to pursue a certain academic field — and even changed their lives. Now, we are in an era when public school teachers get disrespected by some elected officials. We've seen legislation that chains teachers to mandated test results. We've seen grades for schools, and, by extension, teachers, with little regard for the challenges that diversity and income disparity bring to the classroom. Utah remains mired in last place in spending per student, which is one reason concerned business leaders propose bypassing the Legislature by putting an income-tax increase to fund education directly on the ballot. A leader of that group: Zions Bank President Scott Anderson, a Skyline graduate. More funding for schools sure would be a nice way to say thanks to the Mrs. Jacobs of the world.